If you intend to be ordinary then your existence need flavours. You wake up one day and realize you’re ten years older than you were the previous night. Beyond the initial shock, how does this development change your life plans? Naaah! I should travelling and invading foods in my 20’s so please, new wrinkles DON’T you dare be happen tomorrow. Baby Leanne, she’s an angel that gives more color in our everyday life whenever she’s with us. Her smile gives joy and even helps us to go through a day. With her laugh it brightens another day to live. Happiness comes from angel that cannot be compare of anything in this world. She is part of us. She is our favorite niece. She is smart. She is an active young kid. She is bubbly. She spread a happy smile, a happy thought to elder people. She is innocent, will always be. I hope to spend time with this kid more often than before. 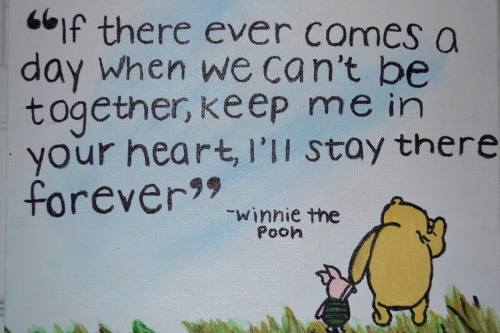 I’ve been admiring Pooh since I am Kiddo! Don’t make it complicated as it could be …. If you wanted to be understood, you must understand others too. Its doesn’t mean you almost have the grudges in life that a person could have, you will always be the one to be understood very well. God gives us challenges and he think and see that you can surpass those all and beyond your limitation you can fulfill what it has to be. Just don’t give pity much to yourself.